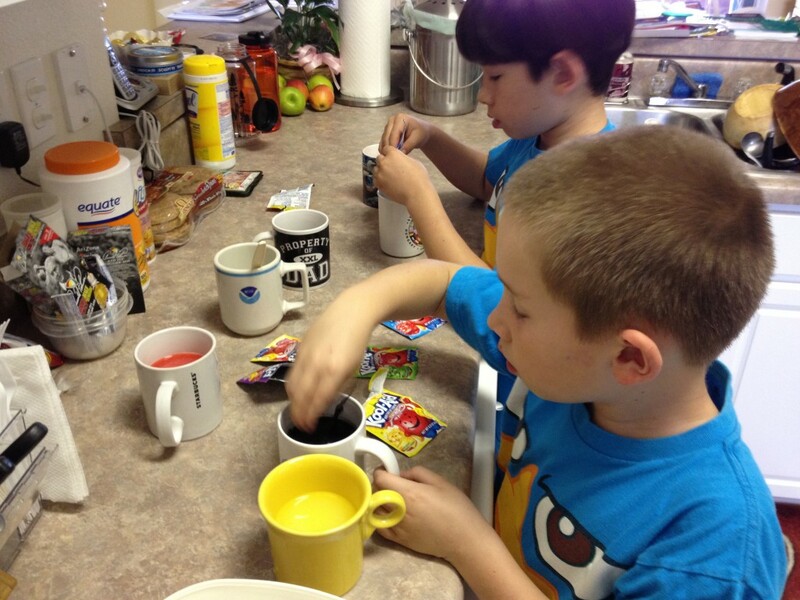 Completed Kool-Aid eggs. 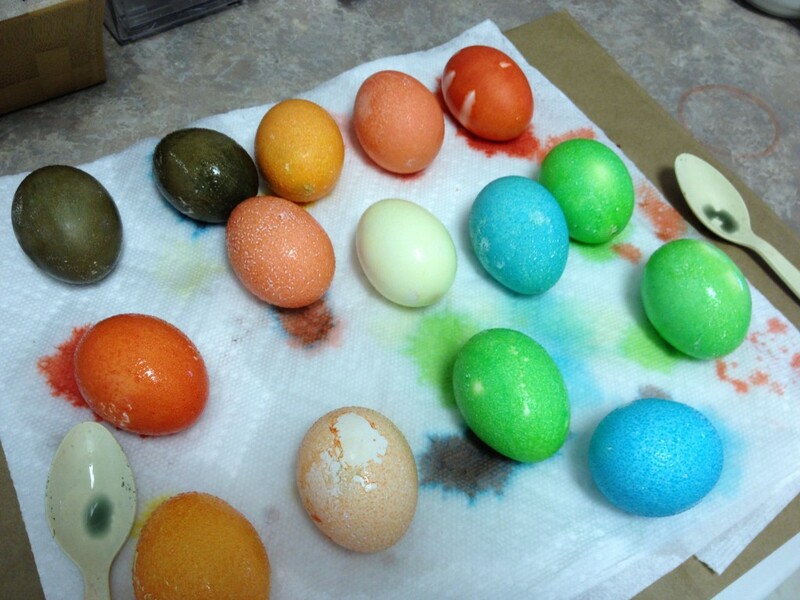 They have some unusual attributes that one has to get used to...if you touch the eggs too much before they're dry, the film of color wipes away, such as that pink one at the bottom. The silk-tie eggs. This is a trickier task. Jacob and Timmy weren't at all interested in this...it was a lot of work. I only had 5 eggs left. Tips if you want to do this -- the darker the tie, the better. 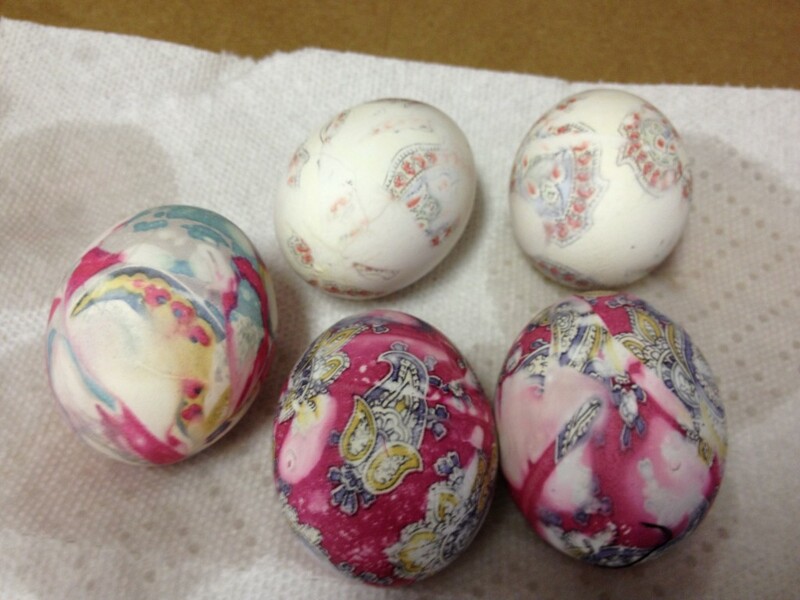 The top eggs were covered with a yellow tie w/ reddish paisley. After eggs, I made a strawberry pie with some of the berries we picked last Friday (I’ll write more about that too). 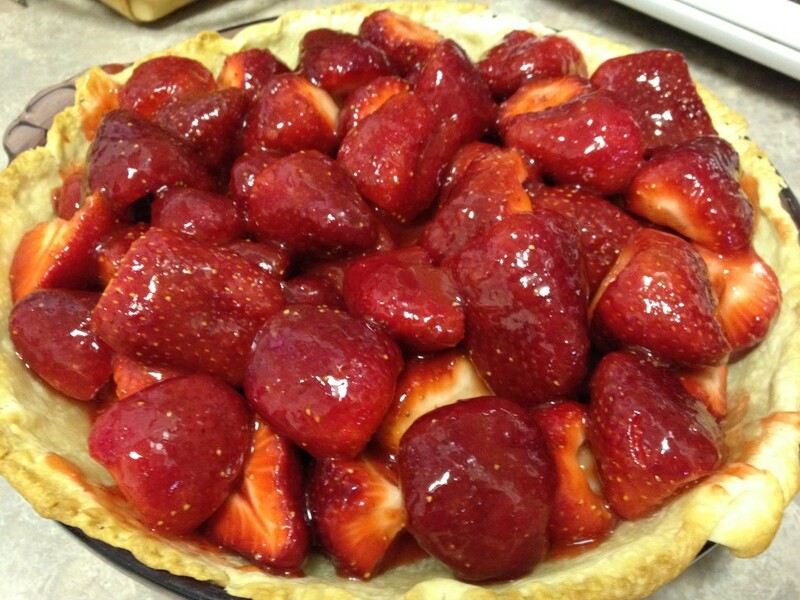 I used this recipe: http://www.browneyedbaker.com/2011/06/14/fresh-strawberry-pie-recipe/ But it didn't make enough glaze. 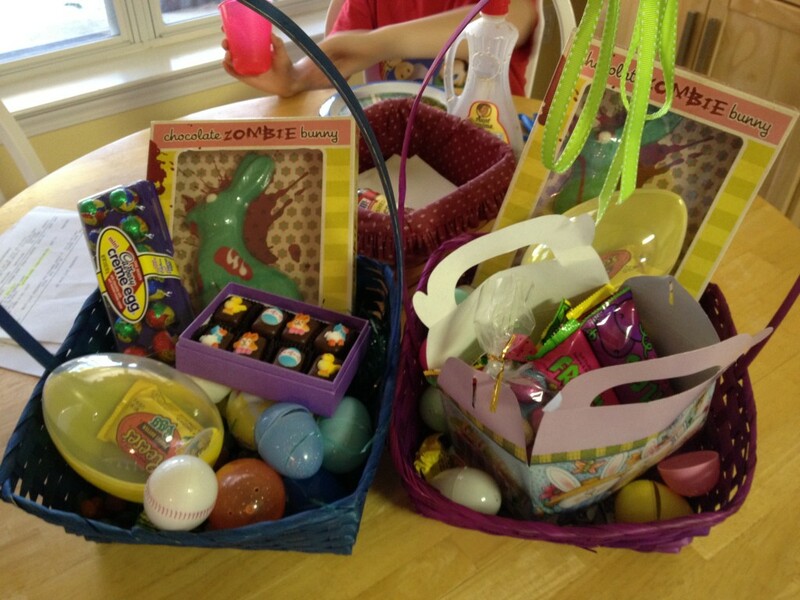 I’ll close with a picture of the boys’ Easter baskets. Yes, those are zombie bunnies. White chocolate (albeit with green and red coloring) = no caffeine! Timmy's is on the left, Jacob's on the right. My parents sent some goodies that went into the basket. Thanks!